Is the extraordinary season of upheaval in the Middle East about to transform Palestinian politics? After four years of hostility, the two key Palestinian factions Fatah and Hamas have agreed to set up a unified caretaker government which will pave the way for new elections. Stephen Sackur speaks to Hamas's deputy foreign minister Ghazi Hamad about whether Hamas is ready to meet some of the conditions set by the international community. Find out who is coming up on HARDtalk by following us on Twitter. 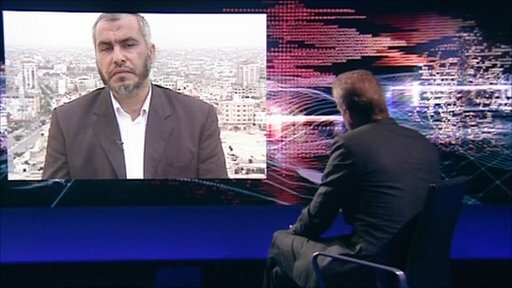 You can watch the full interview on BBC World News on Thursday 5 May 2011 at 0330, 0830, 1530 and 2030 GMT and on BBC News Channel at 0430 BST on Thursday May 5 and 0030 & 0430 BST on Friday May 6.